My wife asked me why I carry my gun around the house. I said it was because of Decepticons. That's not originally my joke, though I wish it was. I also don't have a wife, or own a gun... or a toaster, for that matter. So if the robots were to rise up against humanity, that's one less appliance I'd have to worry about. 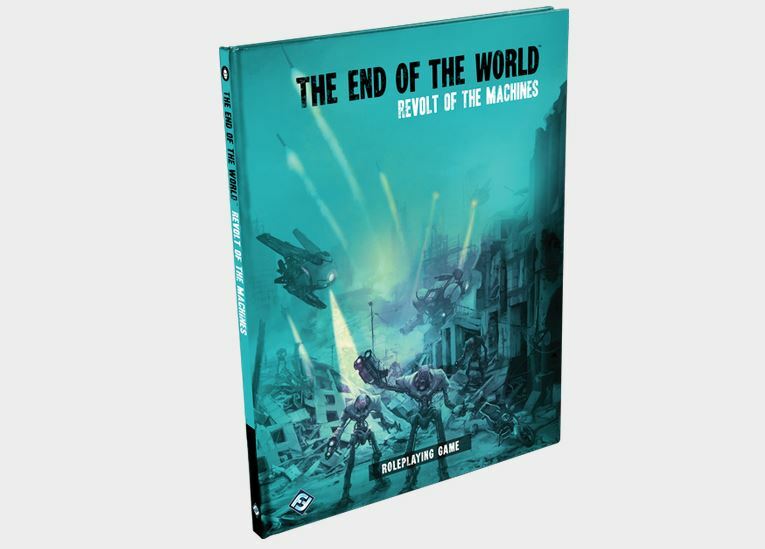 And that's just what happens in Revolt of the Machines, the next book for the End of the World RPG from Fantasy Flight Games. In The End of the World, you play as you. Games begin with you playing characters that are representatives of you, and you're sitting around a table getting ready to play an RPG when the apocalypse happens. This time around, it's the Judgement Day scenario from The Terminator franchise. Will you be able to survive as robotic soldiers take to the streets, looking to eradicate all of mankind? The book is set to be released 3rd quarter this year.